Mary White Rowlandson, born in England, traveled with her parents and siblings to Massachusetts Bay when she was a child. In 1656, when she was about twenty, she married Joseph Rowlandson, the Puritan minister of the frontier town of Lancaster. Ten years later, the town was caught up in the brutal conflict known as King Philip’s war when a group of Narragansett Indians attacked Lancaster. Joseph Rowlandson was away at the time in Boston, ironically seeking assistance to keep his town safe. Mary Rowlandson and her three children survived the attack only to be taken prisoner. Her six-year-old daughter Sarah, badly wounded in the attack, lived for another week. For the next eleven weeks, Rowlandson lived by her wits, trying to figure out what her captors wanted, trying to negotiate their culture. Politically savvy, Rowlandson knew her value as a hostage and helped negotiate her release and that of her two surviving children. 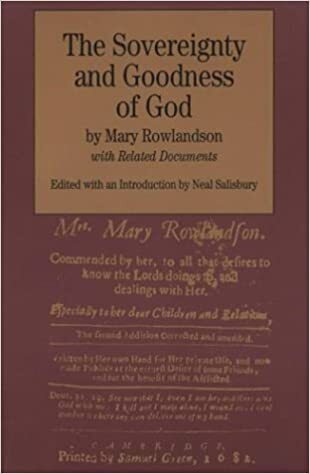 Rowlandson wrote a book about her experiences, which was popular in the colonies for generations.